Plantar Fasciitis is one of the most common causes of foot pain that is characterized by a stabbing sensation under the heel. It can affect almost anyone and is particularly common among runners. While orthopedic shoes are available that alleviate the pain, they can be unsightly. Interested in a specific pair? Click the link above to jump to it! We’ll also explore the causes of Plantar Fasciitis and how these shoes work to relieve the pain. Short on time and just want to grab the best pair of plantar fasciitis shoes available? Shop using our Quick Buy Guide below! However, if time is on your side and you want to learn more about the shoes, just scroll down to see more. What Are The Best Men’s Shoes For Plantar Fasciitis? For those with mild Plantar Fasciitis seeking a premium shoe that can be worn professionally and for special occasions, Wolf & Shepherd claim to have created the most comfortable shoes ever. We have to agree and these shoes are indeed incredible! Decidedly business professional, these are perfect for both the office and formal wear. Unlike many orthotic shoes, they’re impossible to tell apart and look as good if not better than many other premium footwear. Available in both mid-brown “maple” and tan “honey” as well as the classic black, there are several options available according to your needs. We recommend that the black pair is a priority if you need Oxfords but you can opt for other colours as your wardrobe evolves. For men suffering from more acute Plantar Fasciitis, you may need specialised shoes for your condition. Therefore, brands such as Dunham Douglas offer the most comfort and pain relief. 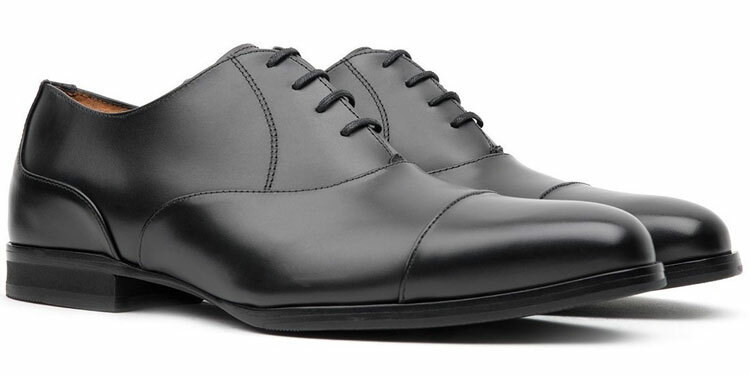 The Bikefronts are the most stylish dress shoes that we could find that yielded the best results. The famed French brand Mephisto has specialised in comfortable and stylish orthotic shoes for decades. Although they come at a premium, there are few brands that offer the same level of quality while alleviating the symptoms of Plantar Fasciitis. These classic penny loafers are perfect for business casual wear. Unlike many orthotic shoes, your entourage will be none-the-wiser. You can pair these with stylish chinos and an open-collar shirt. Also available in black and Cordovan, the Cap Vert loafers can be styled in a number of ways. If you like darker browns, opt for the Cordovan. However, we like the more laissez-faire attitude of the tan shoes. Vionic is an American brand that offers seamlessly stylish orthotic shoes. Whilst some are more noticeable than others, their Lloyds carry that timeless American class of quality boat shoes. Whilst brown boat shoes are more casual, the splashes of blue and white are more stylish and can be worn with business casual attire. Consider pairing these with an open-collar shirt with some nice, ironed chinos. 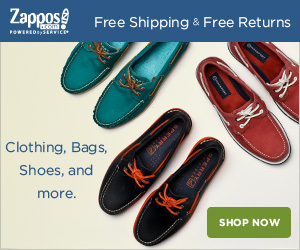 As mentioned above, the Lloyd boat shoes are also available in brown. Whilst these are great, we strongly prefer the class exuded by the blue and white pair, which are far more versatile. Vionic also offer stylish boots that provide protection from Plantar Fasciitis. These stylish Chukka boots offer year-round versatility, which means that you can wear them just about any season. Like the boat shoes above, the Chase Chukkas are great for business casual wear. However, you can also dress down with these and wear them casually. Whether you choose jeans or chinos, these boots feel right at home. Available in both black and tan water-resistant suede leather, you have a number of options. We prefer the tan suede as this will be more versatile for styling. However, if you want something dressier, the black pair are a solid option. Sneakers and running shoes are a popular choice for those suffering from Plantar Fasciitis thanks to the extra cushion and support in the sole. However, some sneakers don’t provide the necessary relief. 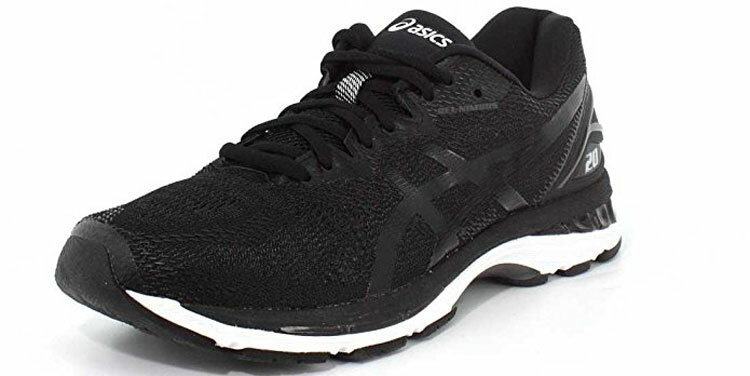 The ASICS Nimbus range is among the most popular due to its superior sole construction. Decidedly casual, you’ll struggle to wear these with anything other than jeans or sweat pants. Even though they’re black, they’re not remotely dressy. Nevertheless, they do offer serious comfort and relief from Plantar Fasciitis. If you want a splash of colour, you’re in luck. The ASICS Nimbus 20 sneakers are available in an entire palatte of hues from Sulphur yellow to Island Blue. You can see the entire range when purchasing. When lounging around the house, going barefoot can be extremely painful. Therefore, you need a good pair of slippers! 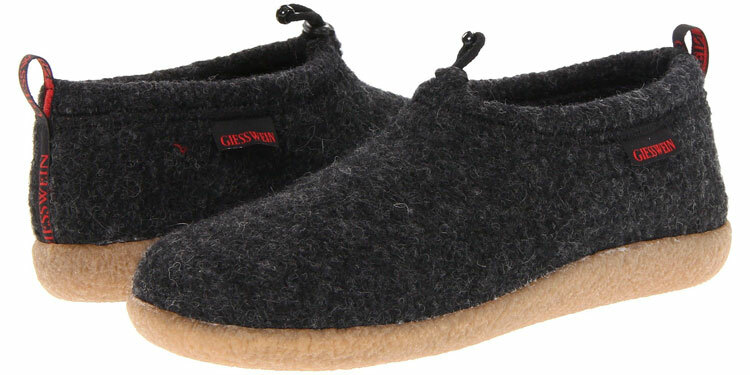 The Giesszein Vents offer a cushioned footbed with arch support. They are made from natural wool to offer breathable year-round warmth and comfort. Anything goes when wearing slippers as long as you’re at home and not at Walmart! What you wear around your house is your business but you can be guaranteed pure comfort and relief with these slippers. The Giesswein Vents are offered in a range of different colours from red to blue including a lime green and purple. Therefore, if you want something a little vibrant, the choice is open to you. Whether you’re spending a day at the beach or chilling on your patio, flip flops are invaluable. However, conventional flip flops are detrimental to the health of your heels. 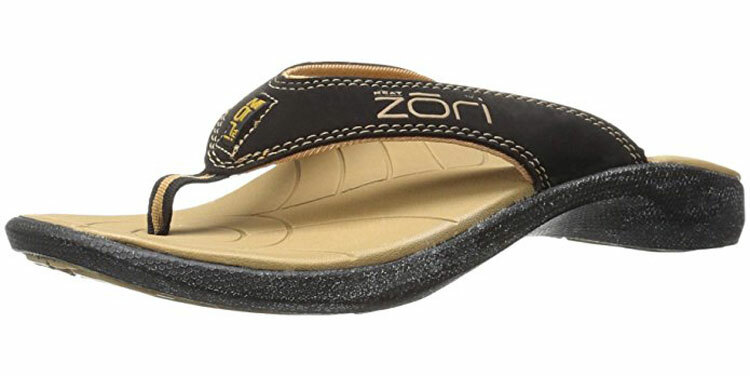 Zori’s flip flops feature high arch support, which preserves foot structure and comfort against Plantar Fasciitis. If you’re wearing flip flops, enjoy the warm breeze and get into a pair of shorts. Whatever you choose beyond that is entirely up to you! However, you can also wear some lightweight linen trousers for a little cover. The most easily available colour is black and tan, which looks great and is a versatile option. However, there are also red and white Zori Sports, which are very stylish but sometimes out of stock. 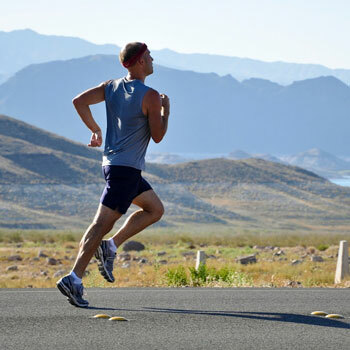 Plantar Fascitis is an ailment that often affects athletes and runners. However, those who enjoy hiking and long walks can easily suffer from it too. 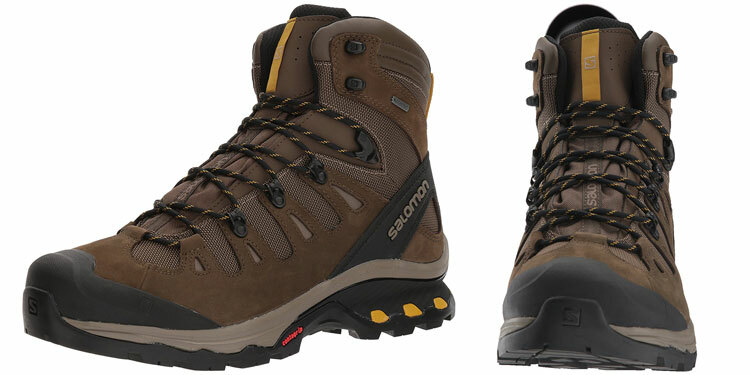 Avoid cutting a hike short by choosing the right boots. The Salomon Quest 4D 3 GTX features an advanced chassis for extra arch support. Whatever your level in hiking, always ensure that you’re properly dressed. Plan ahead and check the weather to see if you need waterproofs or covering up! Whatever the climate, your feet will be properly protected with these boots. We’re very fond of the brown-coloured boots. However, they’re also available in a stealthy black as well as a subdued Mallard blue that borders on grey. Tradesmen and workers are also at risk from Plantar Fasciitis given the strain that they put on their feet. However, Wolverine’s Legends offer superior protection and support to alleviate symptoms and protect them. They feature the ASTM standard as well as a Carbonmax safety toe as well as waterproofing and flame resistance. 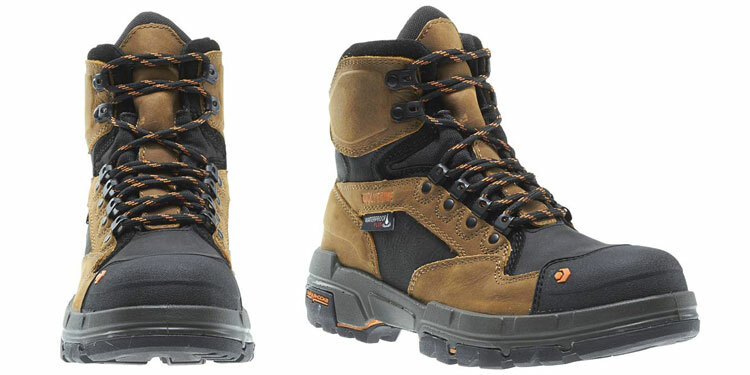 With electrical hazard proofing and shock absorbant soles, these are the ultimate utilitarian boots. As such, they’re not exactly something you’d wear to formal events. Nevertheless, they’re still very stylish even when dressed head-to-toe in reflective outerwear. 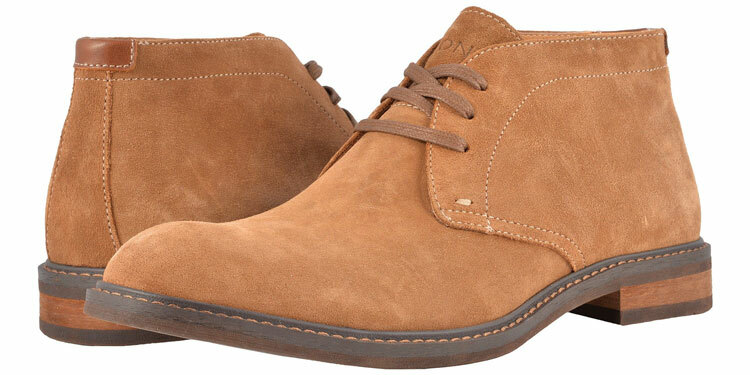 Available also in dark brown and black, we love the two-tone details of the brown tan boots. These are certainly a fashionable choice for the stylish contractor! As mentioned in the introduction above, Plantar Fasciitis is one of the most common forms of heel pain. Plantar Fasciitis is often associated with the result of the Plantar Fascia becoming inflamed. 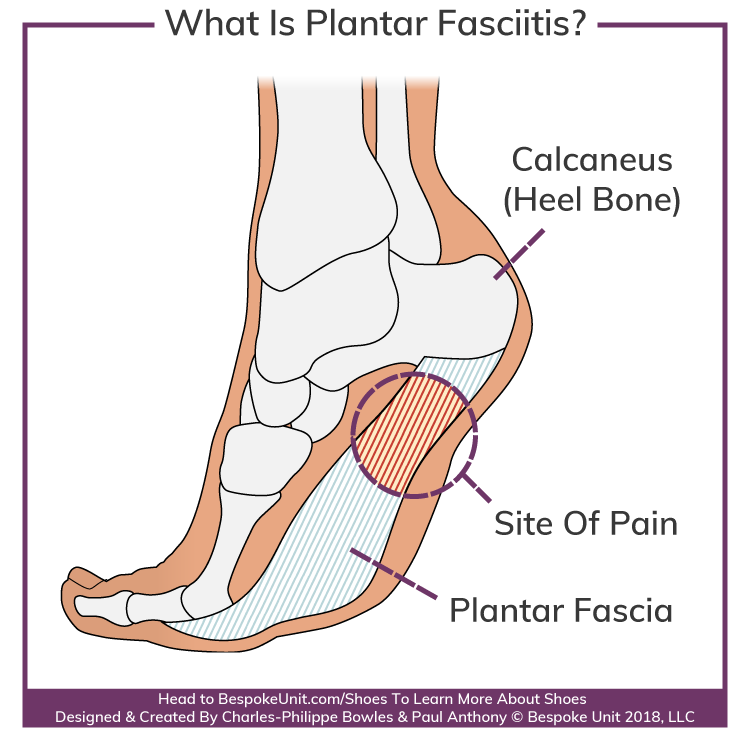 The Plantar Fascia is a thick band of connective tissue that runs under your foot and connects to the toes. Overall, it supports the arch of the foot and helps you move your toes up and down. However, recent studies have discovered that the disorder is not caused by an inflammation but a structural breakdown of the plantar. Instead, this is a result of repetitive tears and micro-trauma across the plantar. Firstly, Plantar Fasciitis is most associated with a stabbing pain experienced at the bottom of the foot. However, it can also include tightness of the calf muscles and the Achilles tendon, which limits movement. If the pain is caused by exercise, it’s rarely felt during strenuous activity but sometime after. Similarly, the pain is much more acute in the morning but can subside after walking a few steps only to return after periods of sitting down. If you’re not sure whether you truly have Plantar Fasciitis, it’s recommended that you seek the advice of a physician. Proper diagnosis is usually determined via a physical examination as well as imaging scans. Plantar Fasciitis typically afflicts people between the ages of 40 and 60 years. Furthermore, putting your feet under regular and repeated stress is one of the most common causes. For instance, long-distance runners are the most affected as well as dancers and military recruits. Those whose professions require standing all day can also be affected such as factory workers and salespeople. Conversely, it can also be caused by obesity due to extra weight putting stress on the Plantar Fascia. Lastly, wearing shoes that provide poor support can bring on symptoms whilst those who already suffer from feet disorders such as flat feet and high arches are susceptible. Typically, most cases improve through mild treatment, which can involve rest and applying either heat or ice to the affected area. Patients are also offered particular exercises or diets to improve either their muscle tissue or weight respectively. More severe cases can undergo other non-surgical treatments such as extra-corporeal shockwave therapy, hormone injections and anti-inflammatory topical creams. If all non-surgical treatments have proved unsuccessful, surgery involving a fasciotomy may be necessary. Untreated mild Plantar Fasciitis can soon become chronic causing debilitating heel pain, which will require more extensive treatment. How Do Orthotic Shoes Work? Whether your case of Plantar Fasciitis requires treatment or not, orthotic shoes are the best daily solution for alleviating pain. In the mildest cases, orthotic shoes can even be used as a remedy to treat the disorder. In short, orthopaedic and specially-designed shoes support the foot arches and reduce pronation. Similarly, they often feature EVA (ethylene vinyl acetate) soles, which is one of the most shock absorbing materials available today. Consequently, pressure is taken off the Plantar Fascia, which reduces stress and inflammation to allow the tears to heal. Some brands such as Orthofeet, Dr. Comfort and Apex specialise in dedicated orthopedic footwear. However, they tend to be functional with little thought given to style in order to remain affordable. Nevertheless, some premium brands such as Vionic and Mephisto seek to create shoes that are both functional but not as conspicuous. Meanwhile, there are other conventional shoes brands such as Wolf & Shepherd that take comfort and support equally seriously. Once Plantar Fasciitis has been successfully treated, orthotic shoes or even those that offer superior support will still provide protection from the disorder returning. Reviewed by Harvey B., on 19th September . "Pain relief without skimping on style. 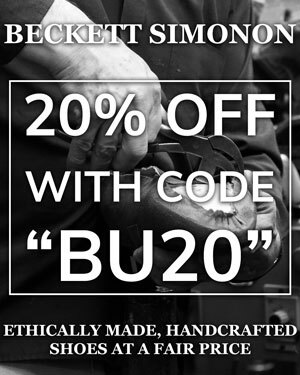 I used to only be able to wear ugly orthotic shoes but I've now found what I needed here."